When I read about Koto Saigon restaurant before leaving for Vietnam I was sold to the idea of a restaurant helping disadvantaged kids get ahead, but once I got there I was convinced that the idea is a success. Koto Saigon which was started in 1999 is now a beautiful restaurant located down an alley just off the busy Hai Ba Trung street. Many great shops in Ho Chi Minh are located down these long dark alleys, but very few have a smiley greeter waiting for you. He asked us in English if we had a reservation and he took us in this really modern restaurant. Koto has a huge terrace with a view of the kitchen, but as always, I prefer eating inside with air con. The inside of Koto is modern and clean with a very cozy lighting which is not to dark or bright. As much as I love eating outside sitting on plastic garden chairs, I really appreciate the linen and the silverware once in a while. The first thing that struck me was the quality of the service: cheerful, precise, full of attentions and not too pushy. It just felt right and I was more than ready to order. We started with a tasting plate of spring rolls which was good. It’s not too big and it tasted really fresh. It was followed by a banana blossom salad with sticks of lotus roots. I really enjoyed this new flavour since banana blossoms are not common where I live. The next dish was duck breast on noodles and it was just perfect. The breast were perfectly cooked and tender. It’s really easy to screw up on a duck breast, but this one left me begging for more. We ended our meal with a simple Bo Bun, beef on rice noodle. It’s a classic and it was well done. The menu has a very wide range of items, but we stuck to the Vietnamese classics. I simply could not resist the chocolate mud cake which was rich and dense. That’s my kind of dessert and the Vietnamese coffee wasn’t bad at all. Koto turned out to be so nice and pleasant that we ended up coming back twice. Once for dessert where we ate a passion fruit panna cota and once for our new year dinner. 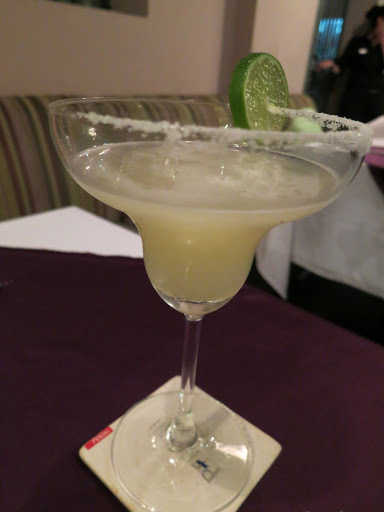 I know it’s not Vietnamese, but heck, the bar tender at Koto seem to know what he is doing! We started this second meal with a beef salad. The beef was followed by big shrimps. Simple, but good. I don’t know exactly what was in that green sauce, but I held myself back from licking the plate. Decided to order the duck again, but it was slightly more cooked than the first time, still good, but not as perfect. We ended our second meal with a mud cake and a fruit cake which was rightfully suggested by the staff. I felt good walking out of Koto knowing how much effort they put teaching the kids and seeing how successful they are. If you are in Ho Chi Minh, I can only strongly recommend you try Koto. It’s not super cheap, but it’s worth every penny. Great service and great food just outside the main tourist area. They also have two other restaurants in Hanoi which I would be curious to try. 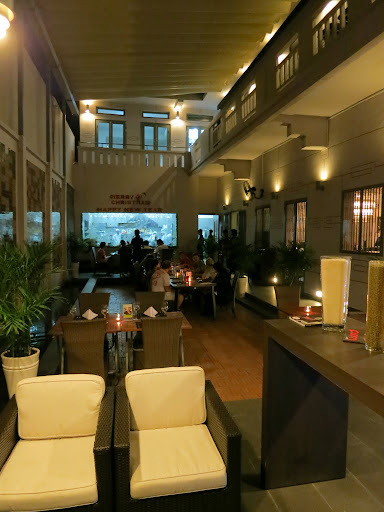 If you been to the Hanoi restaurants, please let me know what you think.